It might be winter, but here’s something to encourage the sun to shine. 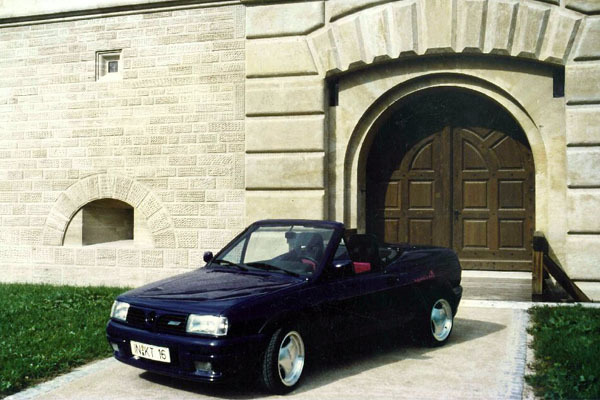 The Series 2F Polo built from 1990-1994 had arguably the most special editions than any other Polo generation, with over 17 at last count. But, ultimately the rarest and most bespoke of them all is the Treser ‘Open Air’, made by Treser in Ingolstadt, home of Audi. That’s not the only four-ringed connection; Walter Treser was an ex-Audi engineer, who after leaving the company, set up his own outfit making bespoke sports cars. 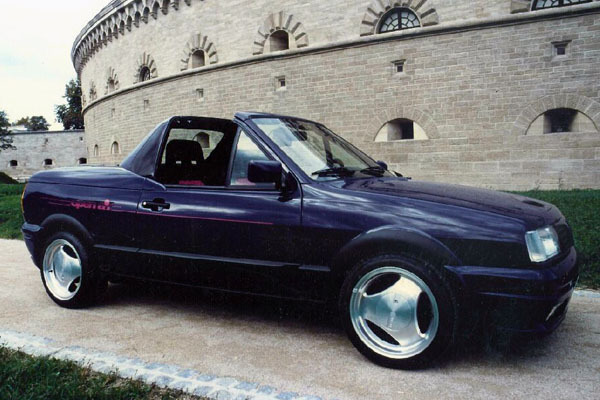 So what was he doing turning Polos into two-seat cabriolets? Read on to find out at least some of the answers. The Polo Treser ‘Open Air’ wasn’t cheap, with the conversion costing DM16,000 on top of the cost of the 55 and 75bhp basic Polo donor cars. 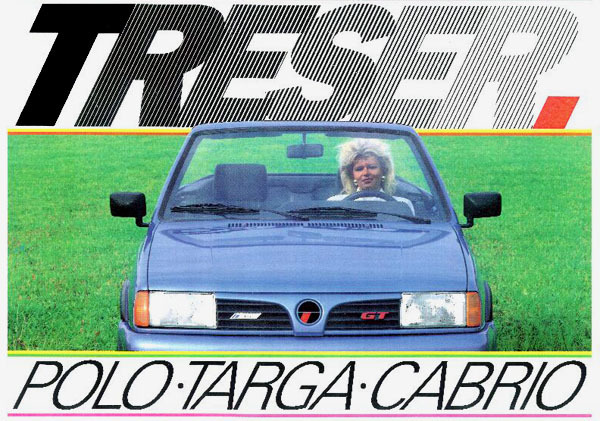 All Polo Treser Cabrios were not only ordered from the Volkswagen dealer, but also received a full VAG-approved guarantee. 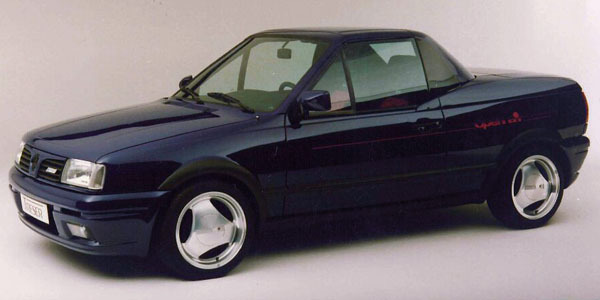 The standard four-seat Polo coupé body was fitted with so many modified panels, it was almost as handbuilt as more luxurious prestige cars. 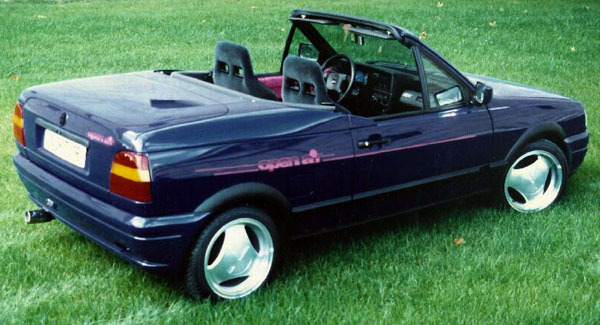 Only the front wings, doors and bonnet remained as Volkswagen had intended, with the rear wings and tailgate modified to take the new rear deck. New colour-coded sportier bumpers were fitted front and rear, while a new ‘beak’-style front grille replaced the standard VW slatted item. 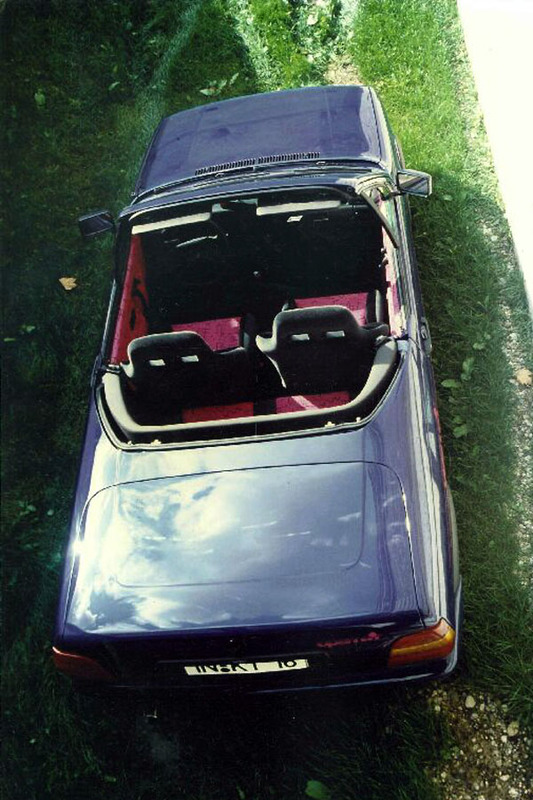 The new roof was similar to a targa in that the panel directly over the occupants’ heads could be removed completely, leaving a B-pillar type arrangement and glass rear window. This too could be taken off the car, leaving a smooth and sports car-like body. 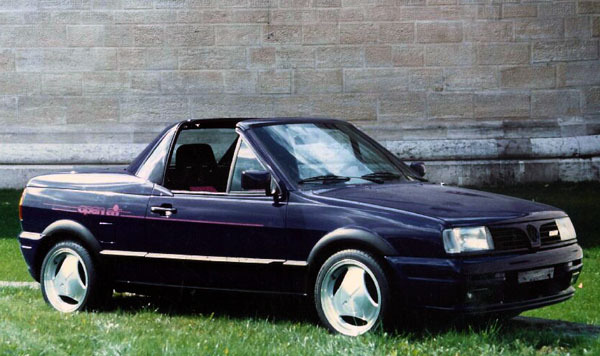 When the roof was in place, the Polo Treser ‘Open Air’ had something of a notchback appearance, an unfortunate by-product of leaving the body shell’s B-pillar support in situ. This could then be folded behind the seats, and whichever way you look at it, while not graceful, the Treser ‘Open Air’ did inject some style and glamour into the then-dated Polo range. 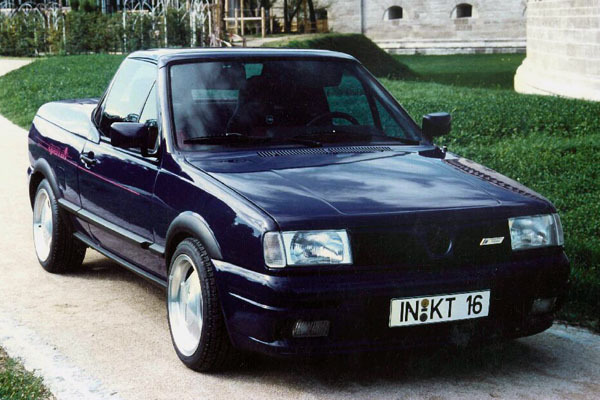 Most Tresers were based on Polo GTs, and while 10 of the 290 produced were produced at Treser itself, the remaining 280 were converted by a firm in Austria. All Treser Cabrios were built between 1991 and 1993. Nowadays you’ll be lucky to see one, but one other question remains. Were Volkswagen inspired by the Treser Polo ‘Open Air’ for their special-edition Series 3 Polo namesake from the mid-1990s which featured an electrically-operated rollback-style canvas roof? We suspect not, but as with other aspects of Volkswagen Polo history, the Treser ‘Open Air’ is just one small and interesting part. One of the most important and pronounced effects of Provigil (modafinil) is considered to be an increase in vivacity, concentration, the ability to memorize, and the ability to comprehend and assimilate new information.